This move is seen by some as a bid to protect white supremacy in sports. AFRICANGOBE – Kenyan athletics chiefs said on Thursday they would oppose the decision by the sport’s world governing IAAF to cut the 5,000m and 10,000m from the lucrative Diamond League circuit. Athletics Kenya (AK) president Jackson Tuwei said it was “totally unfair” to drop the two events, in which African athletes have traditionally done very well. Ethiopia’s long distance great Haile Gebrselassie has said the decision to limit the longest event in the circuit to 3,000m will disproportionately affect Kenya and Ethiopia, two powerhouses of middle and long distance running. The IAAF said on Monday that the circuit will have a trimmer look and fewer meetings as the one-day competitions aim for a more consistent and fast moving format, though said the longer distances could still take place outside of the designated TV window. Meetings will be reduced from 14 to 12 competitions, while the number of disciplines will be cut from 32 to 24 with 12 each for men and women. “I will raise the issue at an African Athletics Confederation (AAC) Congress in Abidjan (Ivory Coast) next month because this is totally unfair to our athletes,” Tuwei told reporters. 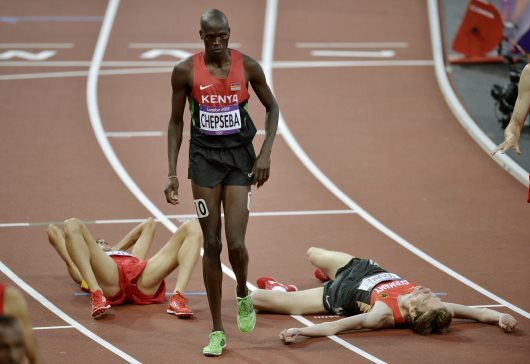 The 10,000m and 5,000m are races traditionally dominated by Africans. Barnaba Korir, chairman of the AK Nairobi region and a powerful voice in the east Africa nation’s athletics administration, said track and field would lose its historical significance and financial incentives if the longer distances were dropped from the circuit. “Historically, the longer distances were the pillar of track and field. Marathon was the pride of the Olympics, and 5,000m and 10,000m races were what made track and field interesting,” the former 10,000m and road runner told reporters. “All the legends of track and field – from Paavo Nurmi, Haile Gebreselassie and Kenenisa Bekele, Mo Farah and Paula Radcliffe, Kip Keino, Henry Rono and Paul Tergat, Said Aouita and Hicham El Guerrouj – were 5,000m and 10,000m athletes,” he said. “Besides, our athletes would lose significant income from the circuit if the two races are dropped. This would have a trickling effect and demoralise young athletes who admire their successful compatriots in their flashy cars and high-end property, thanks to prize money from winning longdistance races,” he said. “They can limit the races that are broadcast live and still have the 5,000m and 10,000m on the programme,” he said. The Ethiopia Athletics federation (EAF) described the IAAF decision as “very illegitimate”. 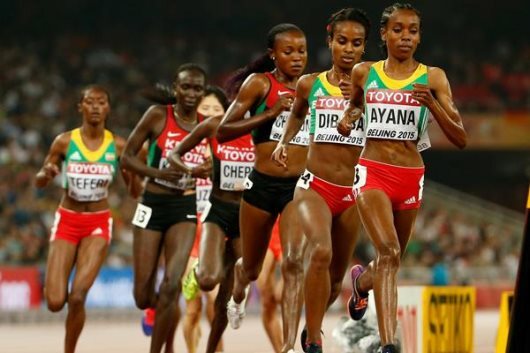 “We Africans should shout loud to the IAAF to stop the silent killing of our long distance running,” Sileshi Bisrat of the EAF communications department said in a statement. The IAAF disputed claims that scrapping the 5,000 from the 90-minute Diamond League television window would unfairly effect African athletes and said part of the reason for choosing the 3,000m as the longest distance was the need to schedule six of each event for each gender as part of the Diamond League series. “The reduction in the DL international broadcast window from 120 minutes to 90 minutes was in response to extensive consultation with both current and prospective DL broadcasters, the majority of whom requested a faster, sharper and slightly more concentrated product,” IAAF CEO Jon Ridgeon said in a statement. “In addition to the 90-minute international window, DL meetings will also offer a further 30 minutes-plus of additional coverage to their own domestic broadcaster, which will include extra domestic-themed events.